Doors, Etc. is a family owned and operated business that has been in San Diego for over 35 years. Clearly recognized as the area's door and window specialists, our goal is to provide our clients with the highest level of service, value, and products available. Our experienced staff will work with you and your builder to provide the highest performing products with the lowest maintenance within your budget. 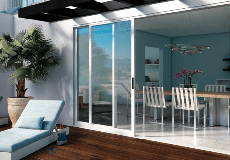 We don’t believe you should enter into your project blindly, we take great pride in each project by furnishing the information needed to provide confidence in your door and window purchase. Our newly remodeled showroom offers a vast array of doors, windows and hardware for you to choose from. Gone are the days of picking up dirty, dusty doors off the shelf at your local box store. We offer full design and customizing capabilities that will allow you to “wow” your friends and neighbors when they come to visit. Doors Etc.Inc. is rated 5.0 out of 5 by 1. Rated 5 out of 5 by BigC from Awesome customer service Love my windows and Doors Etc. was very helpful. Thank you!